Lester Long is a professional horsemanship and stockmanship trainer located in Pennsylvania. Lester focuses on colt starting, problem-solving, stockmanship, training, cow work, and offers private lessons. Each person and each horse has a `unique journey and Lester is committed to working with various approaches to find the best suited for you. These are the main services I offer. I will travel to you or you are welcome to come to my facilities. I look forward to working with you! You may reach me by calling or texting or by using the contact form below. As a young man, Lester attended the Agricultural College at Penn State. Lester managed and soon acquired ownership of his family’s dairy farm, expanding the business to include beef cattle. Before taking over the family farm, Lester worked in Wyoming as a cowboy. He spent long days in the saddle, gathering, moving, and sorting cattle. 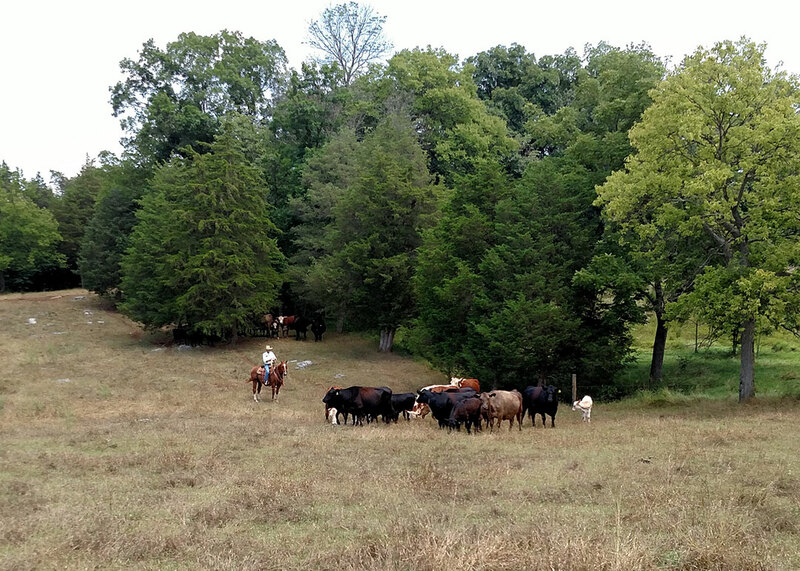 There, he honed his skills in roping, doctoring, branding, vaccinating, and shipping cattle. He continues to visit with his family and friends in Wyoming, helping out with their ranch work. 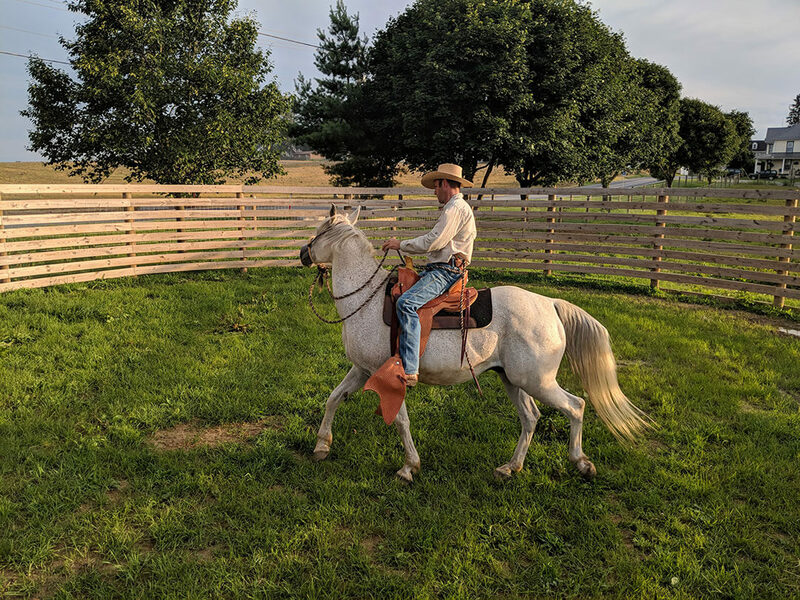 Over the past decade, Lester has begun concentrating on bringing good stockmanship and horsemanship skills to the community. He teaches basic cow working and foundation skills for riders. Following in the footsteps of his instructors, which include, Patrick King, and Master Luis Valença, also following and participating in classes by natural horsemen such as, Buck Brannaman and Joe Wolter. Lester, along with his wife Sarah, continues to operate a beef farm and training business. 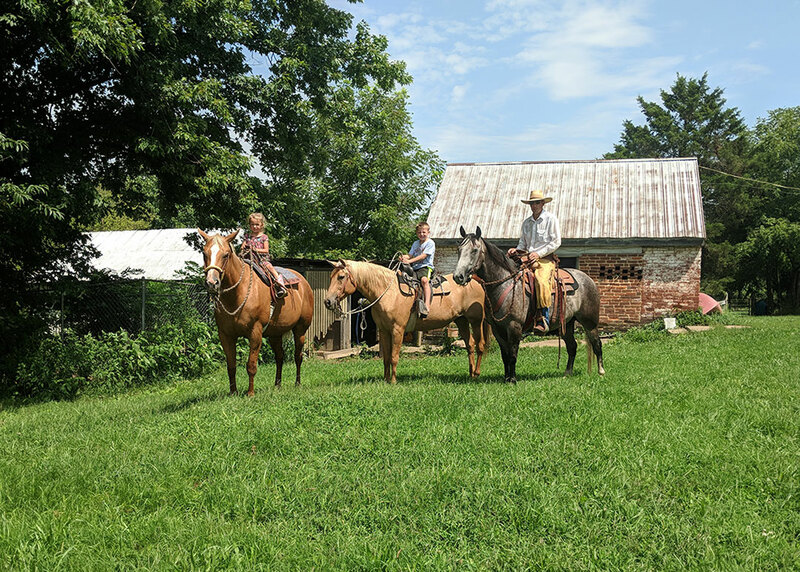 Along with spending time with their two young children, they enjoy teaching stockmanship and horsemanship skills to novice and professionals alike. This year, Lester has focused primarily on starting young warmbloods for dressage careers and helping beginner students with natural horsemanship principles. he believes that the journey to building a relationship with your horse never ends. Lester prides himself on teaching in a manner that is founded on the principles of humility, kindness, and respect. He understands that each person and each horse has a unique journey and he is committed to working wth various approaches to find the best suited for each of you.